I am so excited to share with you one of my favorite projects to date. 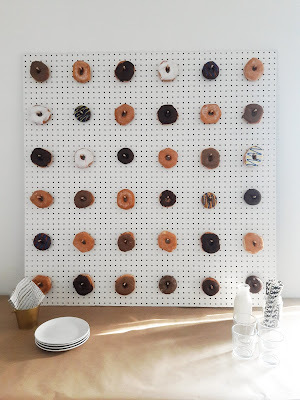 This DIY Donut Pegboard Wall. 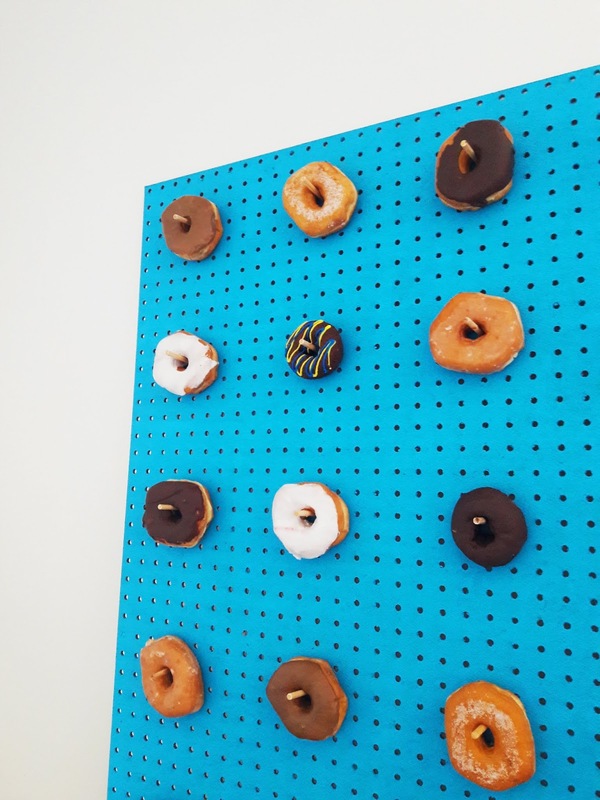 When I envisioned the pegboard I imagined using it for many occasions to come. I really wanted a fun bright colored pegboard but thought sticking to white would be best so it could more versatile. Then I thought, "Why not both?!" The pegboard came with one side white and the other side unfinished. So I decided to add some color. 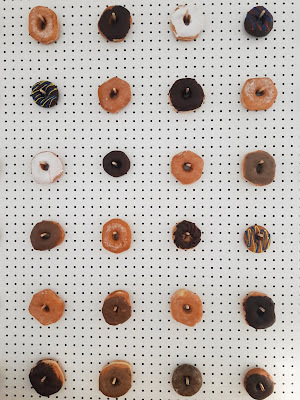 Choose your size of pegboard. 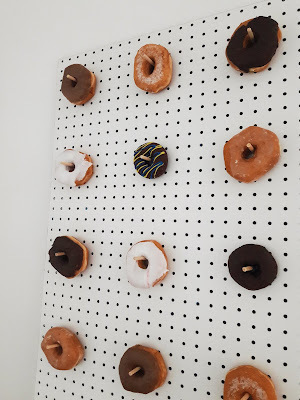 I bought an 8'X4' white pegboard and cut it in half to 4'X4'. You can go as big or as small as you'd like. Your local hardware store can help you cut it down if needed. Apply a coat of your choice of paint to the unfinished side of the pegboard and let dry. Continue applying additional coats of paint until you get the coverage needed. I went with a bright blue and only had to do two layers. Let the pegboard dry completely. With your ruler and pencil, measure and mark your dowels into two and a half inch sections and cut. 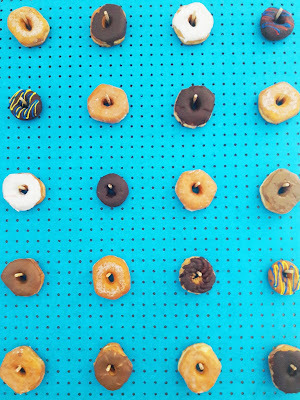 Your local hardware store can help you with this as well. Sand the dowels to soften any rough edges. 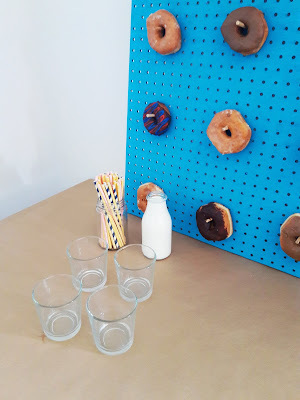 Insert the dowels into the pegboard as desired. 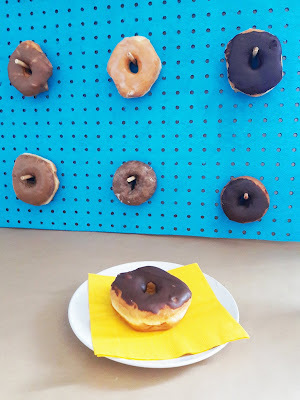 The pegboard holes are 3/16" in size. I bought 3/16" dowels but they slid right through so I went to the next size up to a 1/4" dowel. They are slightly too big but can be worked in easily. If you have any dowels that are giving you trouble simply sand down the bottom edges until they go in smoothly for you. I used 36 dowels but the amount needed will depend on your spacing. 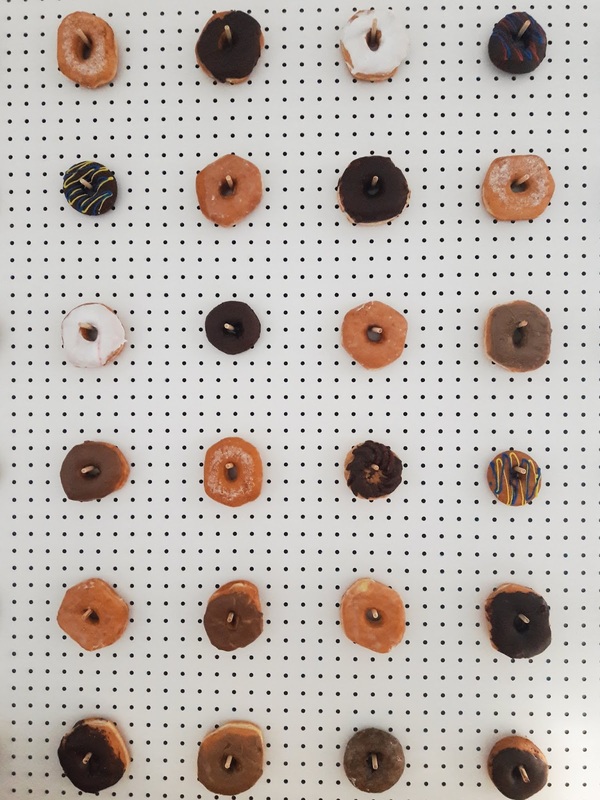 I had so much fun making this project. I am thrilled with how the donut wall turned out and am so excited to use it for future events. 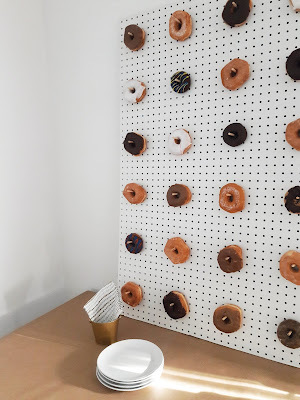 I love that I have the option between a subtle or statement backdrop. Either way a donut wall is such a fun piece to have at events. 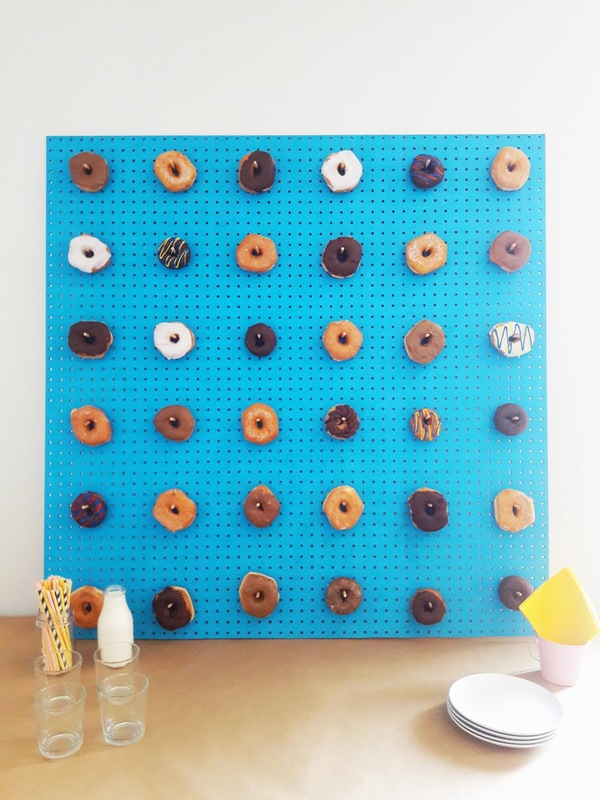 What color would you paint your donut pegboard?